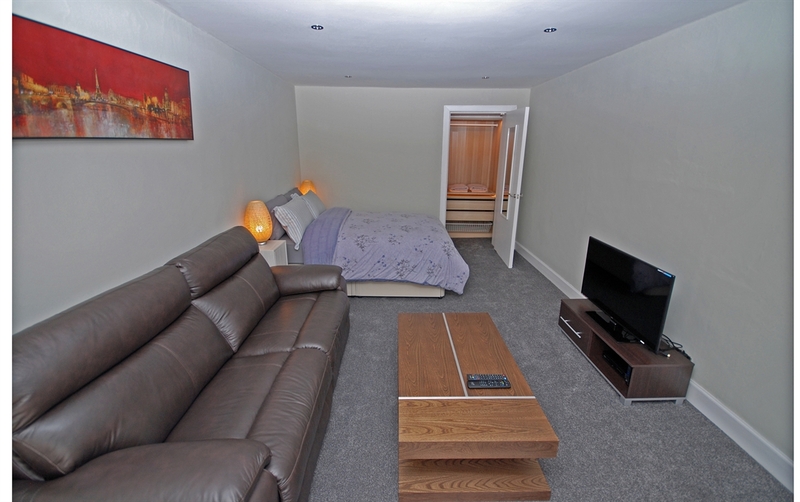 Edinburgh New Town Studio Apartment. Very centrally located within walking distance to all local attractions, restaurants, cafes and bars. 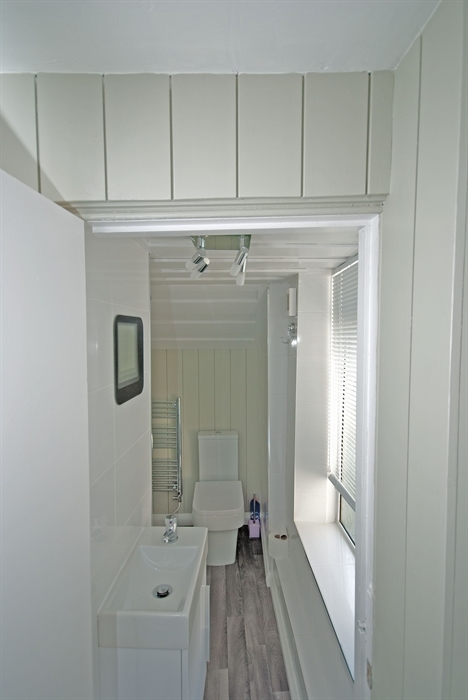 This studio apartment is small but has recently been fully refurbished in contemporary style to a high standard. The exterior of this 1821 constructed building is finished in stone façade typical of the day and used extensively in most New Town properties. 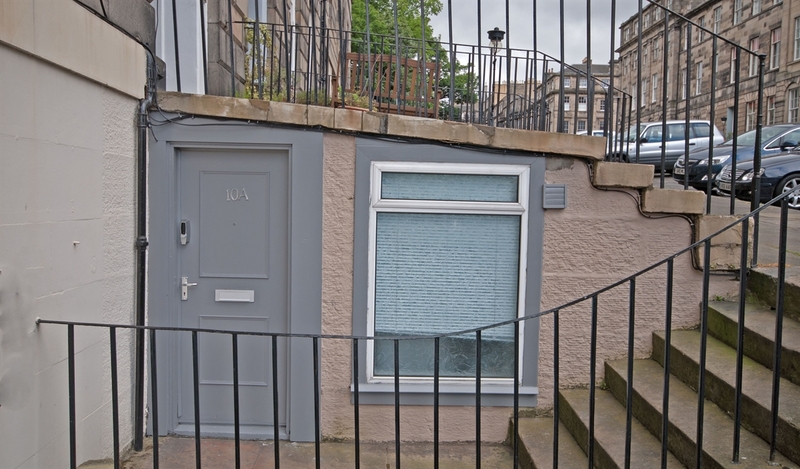 This particular flat has the added benefit of being at street level (6 steps down to from the pavement) with it's own access via a dedicated main door entrance. 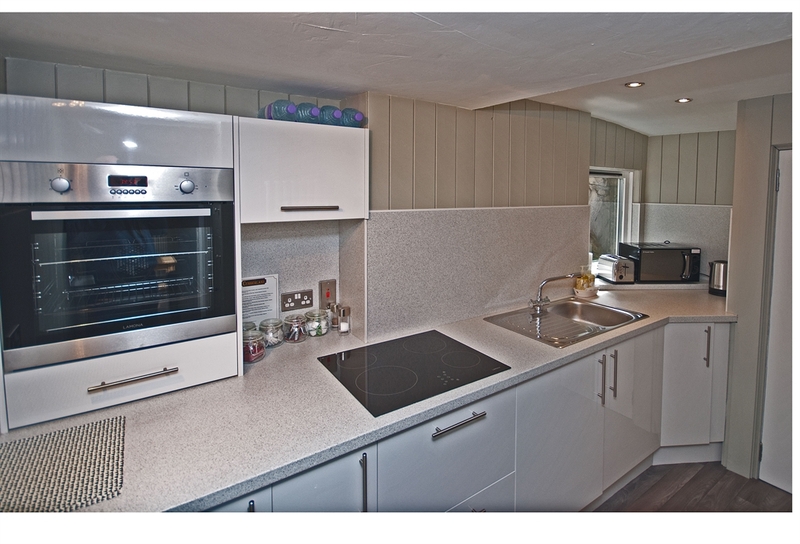 Internally, the accommodation has been fully refurbished to include new flooring, new kitchen, new shower / WC room, new fully fitted walk in wardrobe and a freshly decorated lounge / bedroom with cable TV and very high speed broadband internet service.